Bonney Forge has a documented Quality Assurance/Quality Control program certified to ISO 9001 Quality Systems requirements. Bonney Forge has maintained this certification since December, 1992. 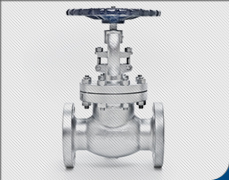 The Bonney Forge Valve Plant in Italy (BFE) and Joint China Venture (SBP) maintain ISO 9001 and CE/PED Certifications. We are continually refining our Quality Assurance Program through the conversion of customer needs and expectations into product, process requirements and quality standards. We update Quality Control Procedures to ensure that processes are adequately controlled. Refined documentation systems supporting quality assurance, assessment and improvement, are used for summarizing trends in key product and service quality measures. We're committed to driving continuous improvements through our valuable resources: employees, Quality Improvement and ultimately, customer satisfaction is the job of every employee at Bonney Forge.